Whips you with all 8. Watch out! 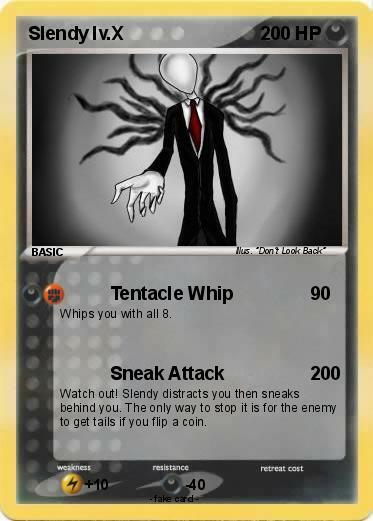 Slendy distracts you then sneaks behind you. The only way to stop it is for the enemy to get tails if you flip a coin. Illustrator : "Don't Look Back"